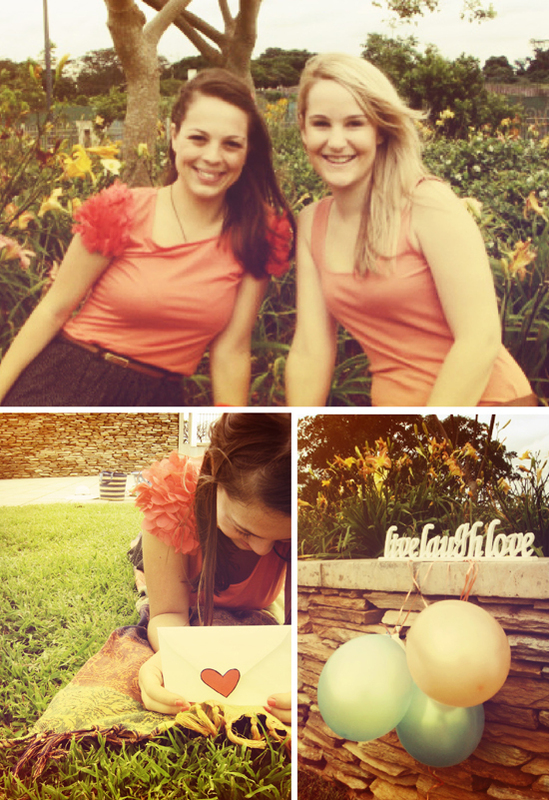 Ruby + Swallow: Birthday blog takeover: Happy birthday Filipa! 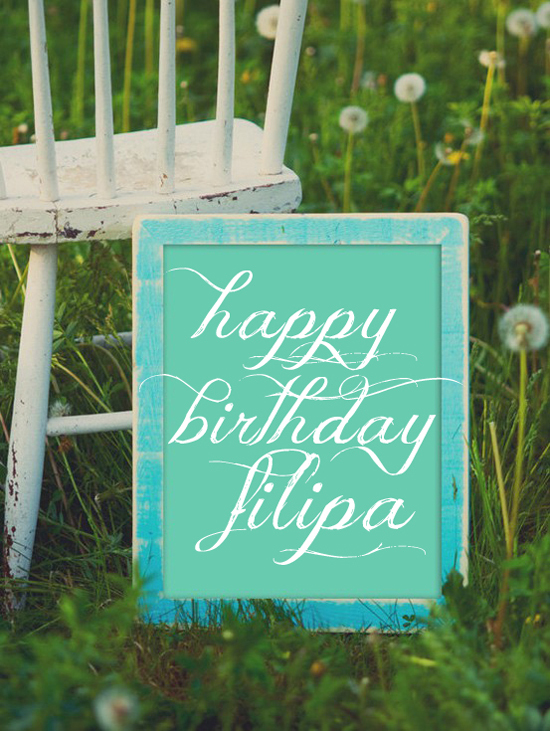 Birthday blog takeover: Happy birthday Filipa! Yes the rumours are true. Its Filipa’s birthday and she’s TWENTY-FOUR. Finally her and I are the same age, and now both heading steadily to our mid-twenties, can you believe it? It feels not-so-long-ago that we were in our first year at Rhodes University. Oh how times have changed! Because now we’re almost 25. A quarter of a century. Halfway to 50. YIKES. It’s like this certain marker of adulthood, signifying the end of all immaturity. And yet, there is a saying that goes “You are only young once, but you can be immature for a lifetime...” – and I think that's so true! Filipa and I can be like little 12-year old girls when we’re together, giggling at things only we find funny. It’s important to never lose your inner child and never stop having fun - and that's what birthdays are all about! 1. Tell her you’re going to write a secret birthday blog post for her. 2. Have the great idea of making her write a “Birthday Wishlist” to post on the blog (find it here) – so that you can get ideas as to what she really wants for her birthday! 3. Read her “Birthday Wishlist” and realise her tastes are far too expensive; so when in doubt, find things on the list that you can afford, and then go back to the drawing board and buy those things you just know she will love J. Anyone who knows Filipa knows that she has a massive obsession with The Body Shop. So when I saw this body butter called "Candied Ginger" (how gorge? ), as well as "Satsuma Shimmer Lip Balm", I couldn't resist. Then in our favourite colour here at the Ruby Team (see this post), I thought "Essie Boat House" was a winner. 4. Know that your baking skills are nowhere near as good as hers, so buy her flowers to brighten up her day at work instead. Oh, and chocolates, who doesn’t like that any day of the year (especially from Woolies)? Fil's been dying to try the Salted Caramel treats from Woolworths, so I thought I'd finally put her out of her misery and get her some! 5. Find a song she likes and post the video here so she can watch it on her birthday. This musician is one she has loved and spoken about since I first met her in 2007, and I know she still has a huge soft spot for him! 6. 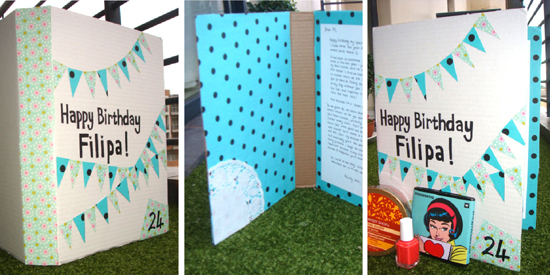 Make a fancy schmancy DIY card to add that extra touch.